From development to testing – SCALEXIO is your universal real-time system. The SCALEXIO product line comprises flexible and modular systems in various sizes and for various applications. SCALEXIO provides high processing power and comprehensive I/O and network interfaces. The system is software-configurable, which makes it easy to adapt it to changing project requirements. 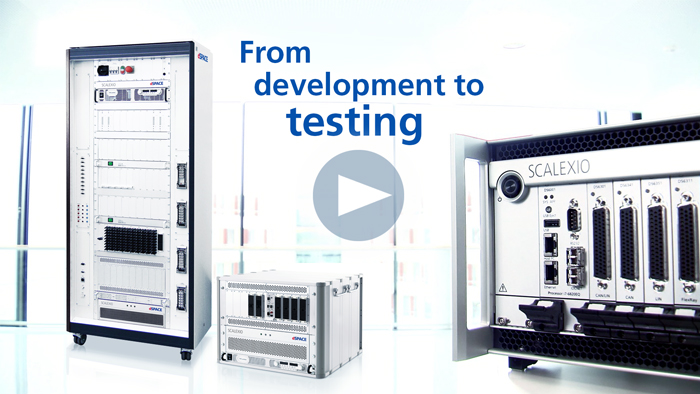 SCALEXIO is ideal for various applications – from development to testing.